This quarter’s winner is Lisa Varnum MA, ATC. Lisa is an Assistant Athletic Trainer at UC Davis. 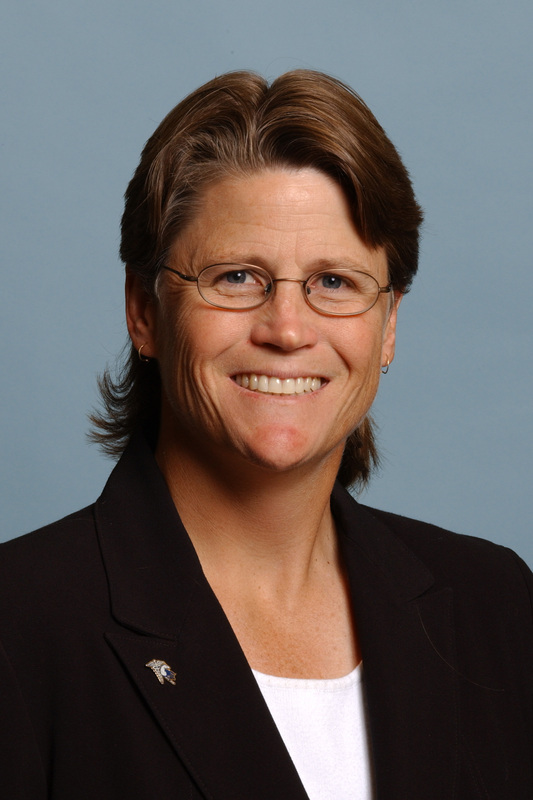 Lisa has worked at UC Davis as an athletic trainer since 1989. She has worked with all the varsity sports at UC Davis during her tenure and now currently works with Field Hockey, Women’s Basketball, and Women’s Water Polo. Lisa is well versed in muscle energy techniques, manual therapy and rehabilitative exercise. Lisa has taken many courses in spinal mobilization and pelvic girdle assessment and rehabilitation. Lisa works with each athlete to achieve the individual’s goals and keep he/she on the playing field quickly and safely. In addition to working with the teams, Lisa also administrates the student athletic trainer internship program. She teaches the upper division course in athletic injuries, and coordinates with the other certified staff to mentor and ensure the quality of the student athletic trainer program thrives. “Thank you for the recognition and award. We are a profession that rarely gets the recognition it deserves, and I am appreciative of receiving this. I don’t really feel I have done anything outstanding, but I do try daily to serve my athletes, UC Davis and the profession to the best of my abilities.” says Lisa. Please join us in congratulating Lisa on winning the Excellence in Athletic Training Award.